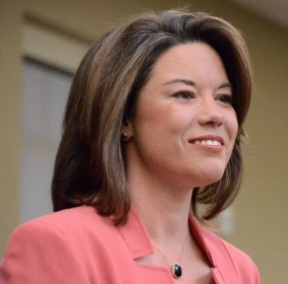 Please join me now in supporting Angie Craig who is running to represent Minnesota's 2nd Congressional District. Angie is running in a district, just south of Minneapolis & St. Paul, that leans Republican but is now considered a toss-up because she's such a strong candidate. She is the Democratic nominee for the district. Angie ran for the seat in '16 but narrowly lost. She's on the best bets, short list of candidates considered among the 24 seats Democrats need to flip the House. Go to her website to learn more about her; she's a dynamo. NOPE members Skyped with her recently and we learned about her progressive positions on a full range of issues, about her wife and four sons, and her passion for service to the people of her district and to our country. Please join us and give now to support Angie. For our country. For our sanity. For democracy. Thank you! To learn more about NOPE go to our website at www.NopeNeighbors.org, like Nope Neighbors on Facebook, and follow us on Twitter @NopeDC.